I just spent a great afternoon outdoors (no rain today :), cutting back my rose bushes. It’s an annual chore that I always enjoy as it sets the stage for a year of beautiful blooms. I know that rose care in general can seem daunting, (especially if your thumb is less than green) but it really isn’t that complicated, and the plants are mostly hardy enough to survive even the worst pruning job. 1. 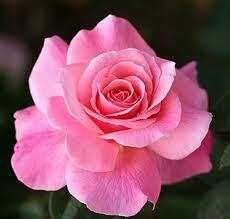 Roses should be pruned because it encourages new growth, removes any dead wood and helps shape the plant. 2. The time of year to prune will vary according to the weather and where you live. Generally you want to prune while the plants are dormant, or just ready to break dormancy. A good indicator is to look at the reddish bumps on the canes. These are the leaf buds. As they begin to swell, it’s time to prune. In colder areas this is usually early Spring, while here in San Diego, the plants hardly go dormant and you can prune in December or January. 3. Using sharp, by-pass pruning shears, start by removing all dead wood and any weak or twiggy branches that are less than the diameter of a pencil. Trim to open up the interior of the bush. Make sure you’re wearing heavy garden gloves! 4. Next trim back the remaining branches by making a 45 degree cut about ¼ inch above buds that are facing the outside of the bush. This will encourage outward growth versus branches that cross each other on the interior of the bush. You should trim off about ½ the height of each cane. Climbing roses that are mature and climbing where you want them should not be cut back as low as bush roses. 5. Make sure the cuts are clean and not ragged. Many also dab a bit of Elmer’s glue on the cuts to prevent the intrusion of pests or infection. 6. 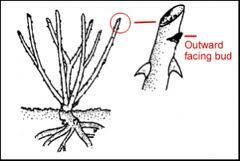 Finally, remove any growth below the graft at the base of the plant and any remaining foliage. It’s really hard to mess this up. In fact, most people err on the side of not cutting back far enough. And if you aren’t pleased with the results, try again next year! Want to plant some beautiful roses in a San Diego home? Just give me a call or start your search on my web site. Video – Do You Qualify for a Short Sale? A short sale is an attractive alternative to foreclosure, mainly because the impact on your credit is far less severe. However, just because you owe more on your mortgage than your home is worth doesn’t necessarily mean that a short sale is a viable option.